Fuzzy Thoughts: happy, happy holidays! I hope all of you are enjoying the holiday season, whether you celebrate Hanukkah, Winter Solstice, Christmas, or anything else. I would like to wish you happiness, health, and successful crafting in the new year! This past year has seen many new adventures and trials for me, and it's been so comforting to have an audience willing to listen, and offer such kind support. I'm so lucky to this opportunity to do something I love, and that so many of you enjoy making my toys. 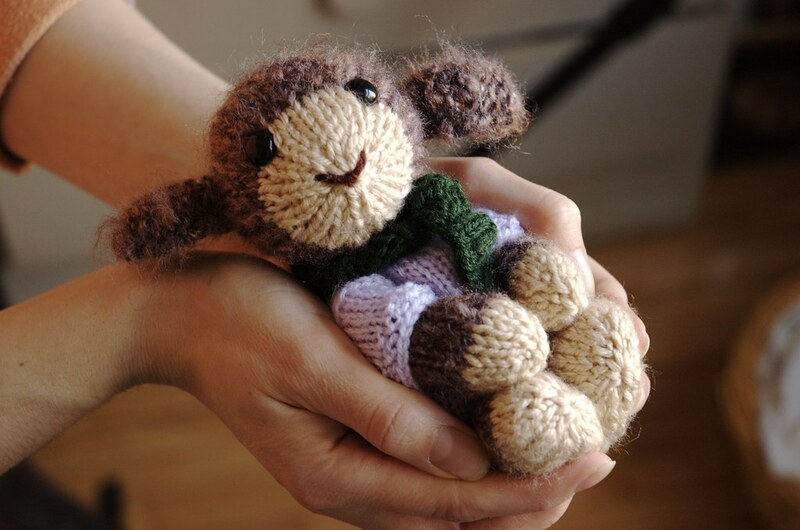 From what I hear, this holiday season many little ones (and a few grown-ups too) will be receiving knitted toys made with love and care. I've found time to make a few myself, although I can't share photos, or they wouldn't be a surprise! The next few days will be busy for me, and for many of you too, I'm sure. I'll be back here closer to the new year, hopefully with some cute photos to share! Take care, and best wishes to all of you! Posted by Barbara Prime at 9:16 a.m.
December 23, 2009 at 12:04 p.m. Thanks Barbara...wishing you and your family all the best for a wonderful holiday season - looking forward to making more of your adorable toys in the New Year! December 23, 2009 at 12:46 p.m. Thank you Barbara - I hope you and your family have a wonderful Festive season - I look forward to knitting more of your lovely patterns in the coming year ! December 23, 2009 at 3:30 p.m. Your work is amazing! Wish I could knit! Have a wonderful holiday. December 24, 2009 at 6:36 a.m.